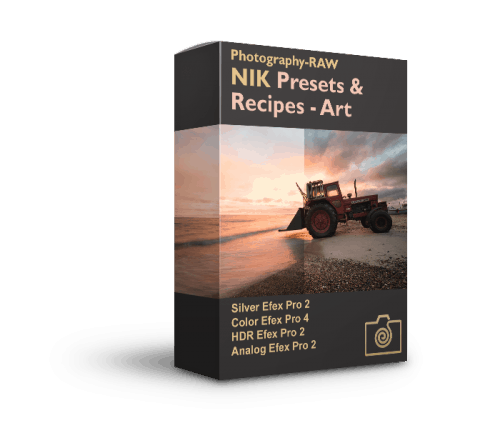 The Nik Collection Presets & Recipes package is loaded with useful, functional presets that allow you to quickly and easily create stunning photos. Get a sneak peek of some of the great presets and recipes in the Nik Collection Presets + Recipes Package here! Use the presets to give your photos a unique new look or to bring some magic to the parts of your photo that you want to have some extra ‘pop’. 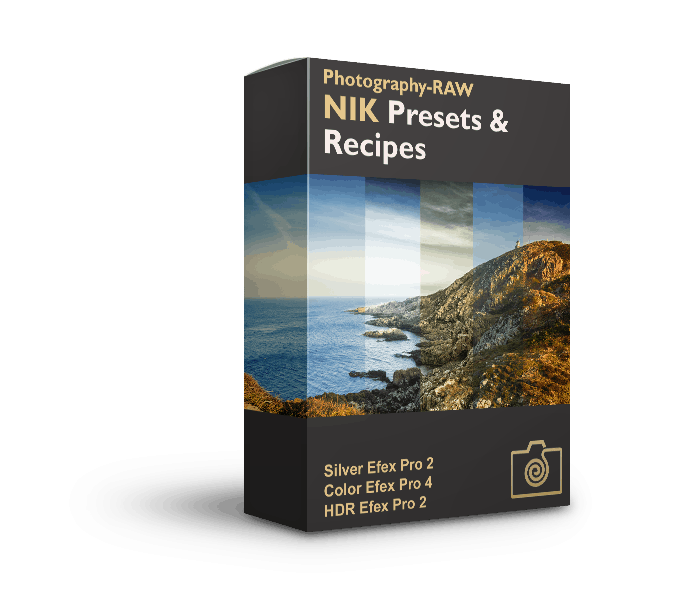 With the Nik Color Efex Pro 4 Recipes in this package, you get a great variety of recipes to use for your photos. None of the Nik recipes are extreme but carefully developed with the intention of being suitable for a wide range of photos. Depending on the light and colors in a particular photo a Nik recipes can make a photo pop or not. Recipes are combinations of multiple filters in Color Efex Pro 4. This could, for instance, be a combination of a Detail Extractor filter, a Contrast Color Range and finally a Brilliance / Warmth filter. 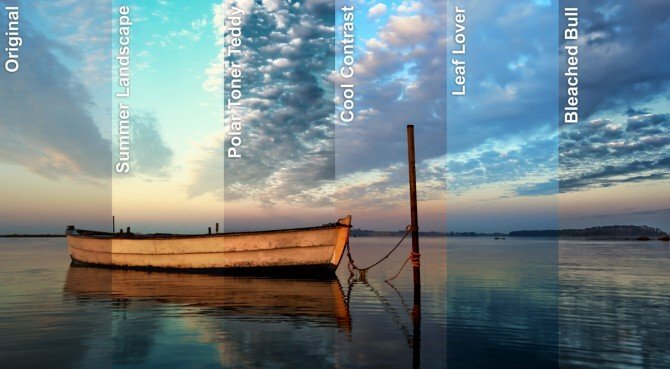 Each with their individual settings preset to give a proper balance to your photos. The ability to use a combination of several filters is one of the fantastic features of Color Efex Pro 4. In naming the recipes, I have tried to give a hint on how you could use them. For instance “Polar Toner Teddy” adds a polarizer filter and tonal contrast to your photo. Another example is the Nik recipe “Leaf Lover”, which I developed for a forest photo with a leaf on the ground, which I wanted to pop. If you have a photo of forest-scenery you wish to process, I suggest that you to begin with the recipe “Leaf Lover” or “Summer Landscape”, but don’t let the naming limit your choice. Remember that you can also combine the Nik Collection recipes with additional filters. Use the super easy control points to limit or change how the recipes and filters affect your image. What looks great on some part of the image, might not be perfect for other areas. HDR Efex Pro 2 is great for pushing your image to the limit concerning tonal contrast. Whether you prefer to use a bracketed sequence of exposures or create an HDR from a single exposure HDR Efex Pro 2 helps you squeeze every data out of your shots. With the HDR Efex Pro 2 presets, I have strived to balance a great HDR effect without overdoing it. The image sample shows how some of the Nik HDR Efex Pro 2 presets change dramatically when applied to this photo taken before sunrise when there are still a lot of blue tones visible in the sky. Some of the Nik Collection presets for HDR Efex Pro 2 applies a gradual ND filter to the sky to enhance both details and contrast, which gives a very dramatic sky, with a single click. Making great black and white photos is very much dependent on creating a great amount of contrast and bringing out surface details. This is why many of the Silver Efex Pro 2 presets in this package enhances contrast and structure. 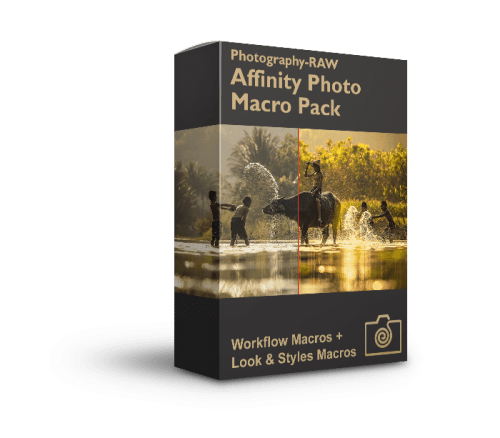 I have used different color filters are used in the presets to make the main focal element of a photo stand out from the background. However, you should change this to suit your particular photo. If you choose one of the Nik presets, where you like the brightness, contrast, and structure level, but think that the main subject in your photo doesn’t pop as much as you had hoped for, try to change the color filter. 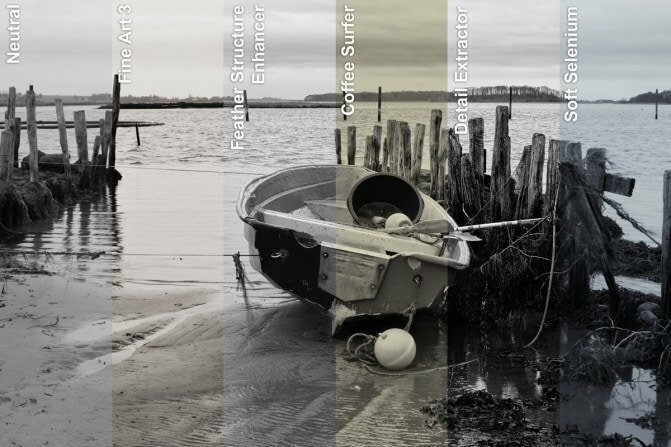 Choose a color filter that resembles the main color of the subject in the photo, i.e. if your subject is mainly red, use a red color filter to make the red colored parts of the photo bright. The complementary color to red, which is green will then become dark. Learn How to Use the Nik Collection Presets & Recipes Here? No matter whether you want to work with your image in Silver Efex Pro 2, Color Efex Pro 4 or HDR Efex Pro 2, I suggest that begin with RAW Presharpener 3 and Dfine 2, to make the starting point as good as it can get. After that open either Silver Efex Pro 2, Color Efex Pro 4 or HDR Efex Pro 2 depending on whether you want to convert to black and white, apply cool color effects or combine multiple images into HDR. In either case, open the desired plugin from either Lightroom or Photoshop. I suggest that you begin with browsing through the Nik presets to find the direction you want your image to go in. After that fine tune the settings by using the sliders in the right side panel. If you want to use the Nik Collection presets directly from Photoshop, just give them a star inside e.g. Silver Efex Pro 2 or Color Efex Pro 4 to mark it as a favorite preset. This will make it visible directly in the Nik Plugin Selection Panel inside Photoshop. 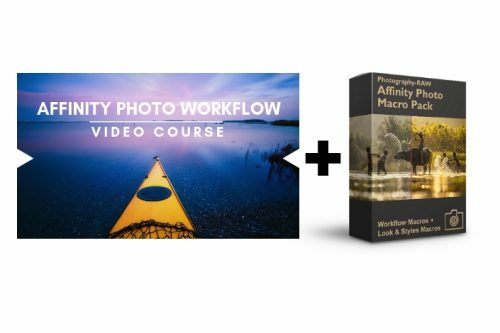 Check out this video for a step-by-step guide on how to install the Nik Collection Presets & Recipes or follow the instructions below the video. In the video I explain the process for both Silver Efex Pro 2, HDR Efex Pro 2 and Color Efex Pro 4. 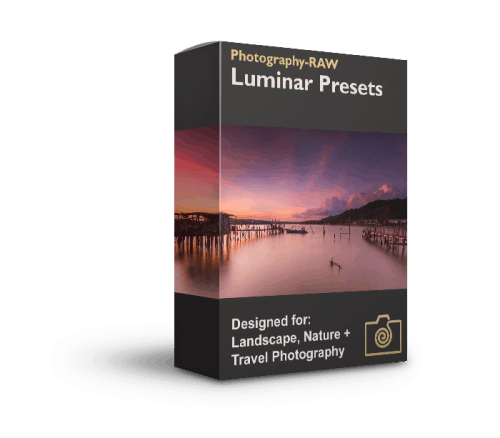 How to install the Nik Presets and Recipes after purchase? Once you have purchased the package you will get a download link both in your browser and by email. By clicking this, you will download a .zip file, which you should double-click to extract the content. The file contains 3 folders, one for the presets for HDR Efex Pro 2, one for Silver Efex Pro 2 and one for the recipes for Color Efex Pro 4. Open HDR Efex Pro 2 or Silver Efex Pro 2 from the program you use for editing photos (This would be Photoshop, Lightroom or Aperture). If you use an earlier version of Nik Collection, you might get an error message, saying that the files are an “invalid format”, when you try to install my Nik Collection Presets package.Nik typically makes the updates automatically, but you can also update it manually. To update your Nik software manually, you should download the latest version of the Nik Collection trial from www.google.com/nikcollection. Don’t worry, the installer will recognize if you previously had a registered version of the Nik Collection installed. Downloading and installing the trial from the homepage will just update the files. Please close all host applications (like Lightroom, Photoshop or Aperture), and run the installer. When you re-open Lightroom or Photoshop, your plug-ins will be back in place. Note: That since DXO acquired the Nik Collection from Google, it is no longer possible to download the free version. Instead, if you have problems with the plugin, I suggest that you buy the updated version from DXO. What are you waiting for? You get an instant download link, so you can import the Nik Collection Presets right away and apply them to your photos. You will be up and running in a couple of minutes. Thanks, Peter for this amazing collection. It’s obvious you’ve put in a huge effort. These presets are a wonderful teaching/learning resource. They have made my editing quicker and a lot more fun. Excellent. there are not many extra presets out there, and to be of the quality they are is a bonus. I have used Nik from well before Google bought them, and always found them good. To have this extra value for them is great. Thanks Peter. Gerry. The Portrait 1 and the Portrait Candy are the same Preset. They are duplicates of one another. Beyond that, they are excellent and I am pleased to have purchased. In the previous review I stated an incorrect analysis. The Portrait Candy and Portrait 1 are not products of Dam-Photo’s. My error. Please disregard the statement in that evaluation and I re-evaluate Dam-Photo’s at 5-star. Fantastic package! Presets are beautiful! Excellent value for money! You won’t be disappointed! Wonderful, install instructions went smooth. I would only suggest if getting a couple of packs, you combine them together for faster install. Thank You so much! !